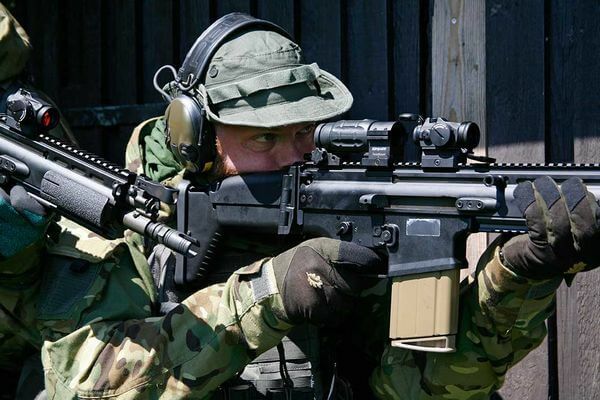 Building in the success of the Micro T-2 red dot sight, Swedish manufacturer Aimpoint decided to come up with something even better. Whilst it looks superficially like the T-2 the Aimpoint T-2 Micro sight was designed from scratch incorporating numerous improvements over its highly regarded predecessor. Despite the sight being 0.3 ounces lighter, it has a tougher housing with better protected top adjusters and flip up front and rear covers included. The optics give almost 100% light transmission are entirely new making for an extremely clear 2 MoA red dot which is truly circular, unlike the slightly less distinct and sometimes oval dot of the T-1. As with all Aimpoints the red dot is parallax free. Image quality and clarity are noticeably better with the Aimpoint Micro T-2 and the former blue tint is no longer present. While you can switch the sight off, with a 50,000 hour battery life from a single CR2032 lithium battery, you don’t have to do so for five years. The sight is extremely rugged and can be submerged to 25 metres or 80 feet. 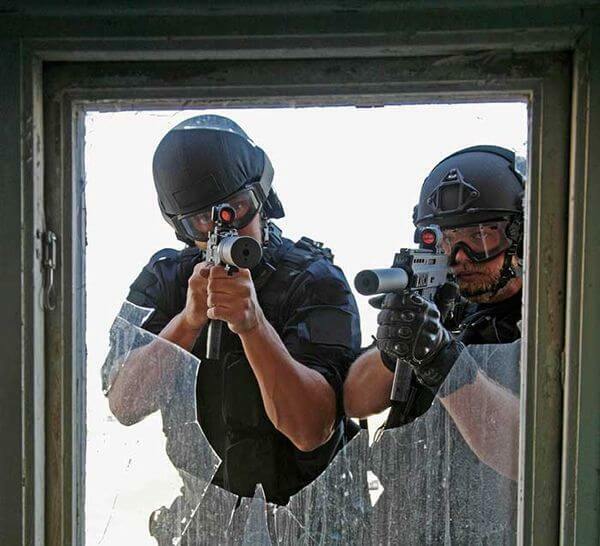 Compatibility with all generations of night vision weapon sight and goggles is assured by one off and four night vision settings, plus eight daylight settings. There is even a super-bright setting for use with laser eyesight protection or in bright desert sunlight. The brightness know is very smooth in operation compared to the one on the T-1. This Aimpoint T-2 can be used as a primary sight on handguns, SMGs, shotguns, carbines and rifles or as a backup sight either piggybacked or mounted on an offset mount. 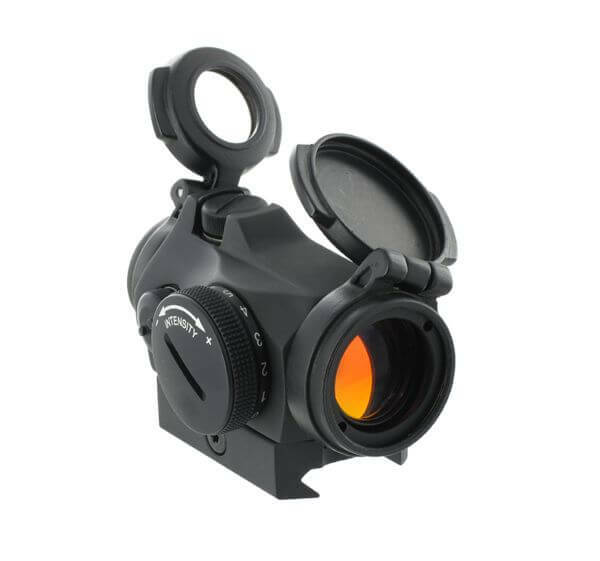 It is compatible with the Aimpoint 3x Magnifier, however the flip up rear cover does require a little more clearance between the sight and the magnifier. The flip ups will not get lost like the Micro T-1’s bikini cover and the rear one is clear and untinted allowing use of the sight with them closed. The sight comes with a built in Picatinny rail mount, but there is a plethora of mounts available from Aimpoint and aftermarket suppliers to enable mounting the T-2 Micro on pretty much any weapon.